Mamma has found a hidden treasure with this little beauty! Relatively new, being less than a year old - it seems as if it hasn't quite been discovered by any mums groups or the like just yet. It is a fabulous park set on a rather large 13 hectare site. 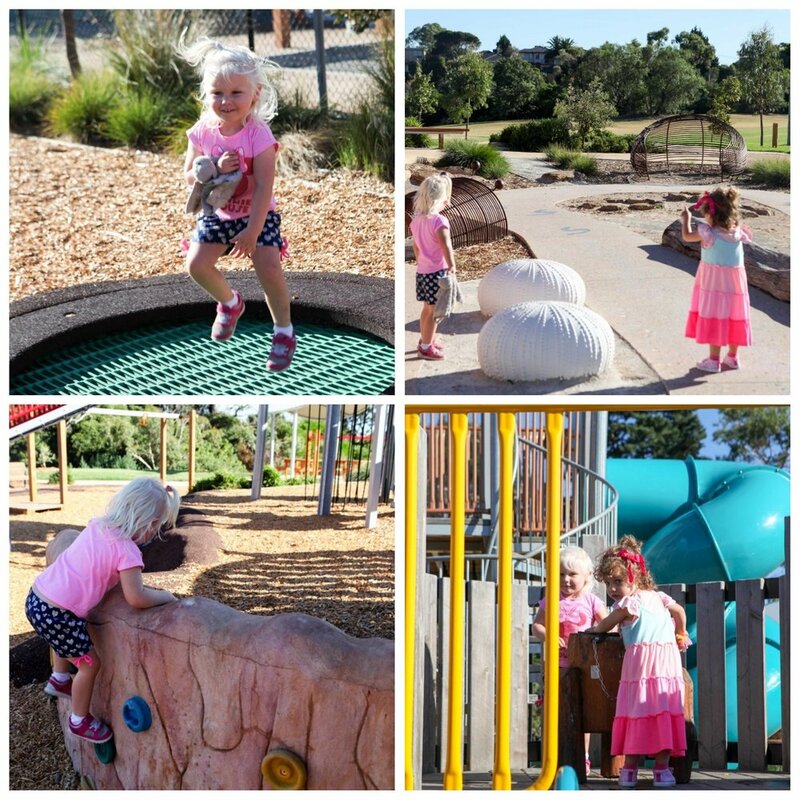 With super cool inclusions that you don't see at many parks; such as, a mini rock-climbing wall, fun-house mirror, gym bars, drum and mini in-ground trampolines. There's also a twisty slide, climbing rope, nest swing, tunnels, see-saw - and lots more. Go for a little walk down the hill and you will find a duck-filled lake with a small walking path around it. It is next to a cricket and football oval - which makes for plenty of room to run around and kick the footy, too! This is a lovely spot for a picnic lunch! Why not pick up a little picnic treat from the scrumptious The Cake Cottage before heading for a play?